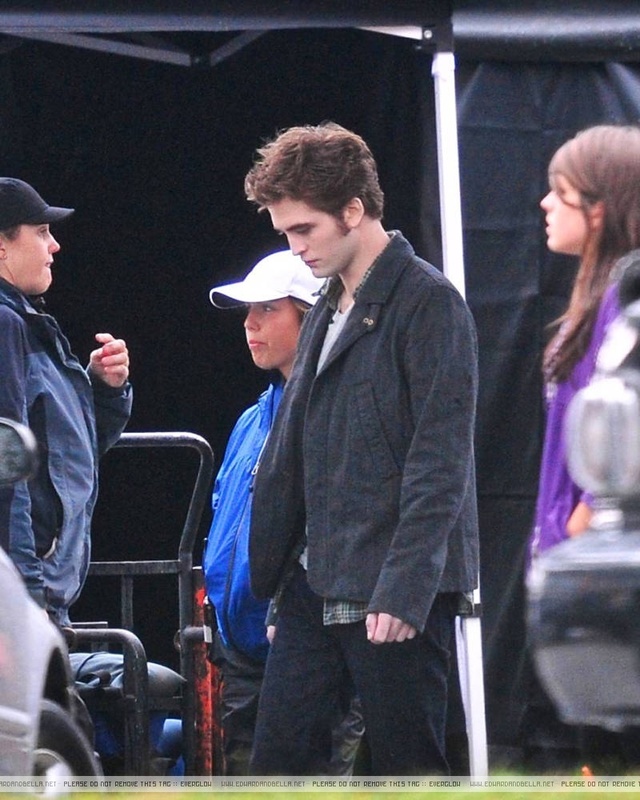 Kristen and Rob @ Eclipse Set. . HD Wallpaper and background images in the edward y bella club tagged: bella swan edward cullen eclipse set. This edward y bella photo contains concierto. There might also be traje de negocios and juego de negocio.